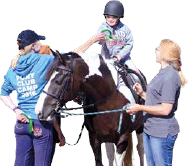 To celebrate its 50th anniversary, Riding for the Disabled Association (RDA) is launching a ‘50 Faces’ campaign to highlight the fantastic achievements of its members, volunteers and supporters. RDA is a surprising organisation with some extraordinary people amongst its members and the team will be travelling the length and breadth of the UK to capture some of the amazing people who reflect the diverse nature of RDA today. There is no shortage of people for whom the RDA has been genuinely life-changing, and the ’50 Faces’ include a Bolivian national basketball player, a national newspaper journalist who narrowly missed being injured in a terrorist attack in Mumbai, a civilian rider for The Household Cavalry, a train-mad model starring in a West End show and a Boccia world champion. The team has also met some amazing parents, who travel great distances to ensure their equally amazing children can experience the wonderful benefits of horse riding and being a part of an RDA Group. 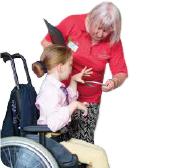 The ‘50 Faces’ campaign will launch in March, part of an exciting year that will also include the much anticipated opening of RDA’s first ever National Training Centre in Warwickshire.